Goodness, look at the horrendous queue :O And that is not the only part of the queue, it snakes all the way to where I am standing. What’s more, it was already 2+ by the time I got here on saturday afternoon. 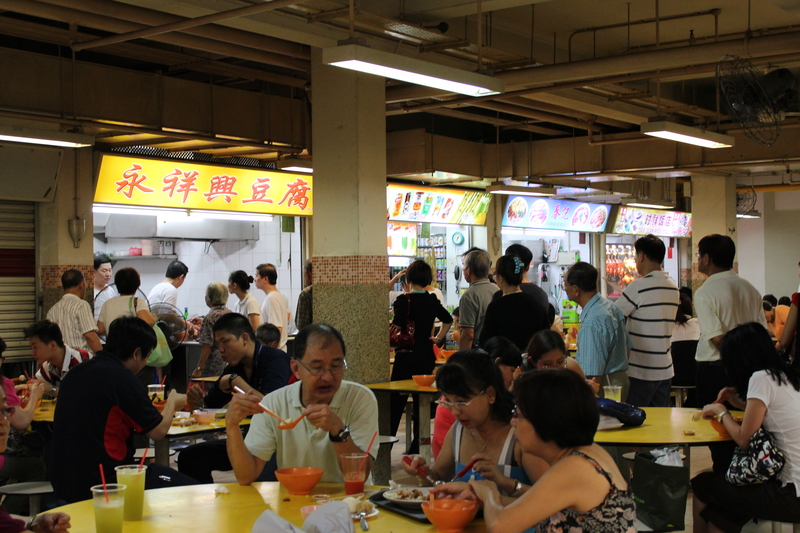 This stall specialises in only yong tau foo. They don’t have any other carb dish to go with it. All you get is a mixture of yong tau foo, soup and nothing else. Even though they practice specialisation of labour, the time taken to get our food was still very long. For $3.50 a bowl, there was quite a generous amount of yong tau foo given. It also came with some sweet chilli mixed with sweet sauce. The chilli was nothing impressive, spice factor was also very low. 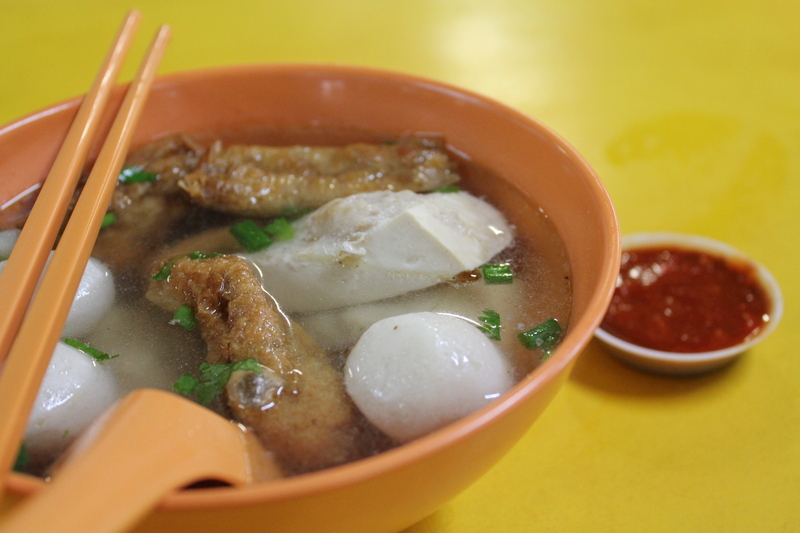 This yong tau foo was a personal favourite. Bean curd skin ( I don’t know how to describe it xD) wrapped around a fishcake filling. The beancurd and fishballs were average. 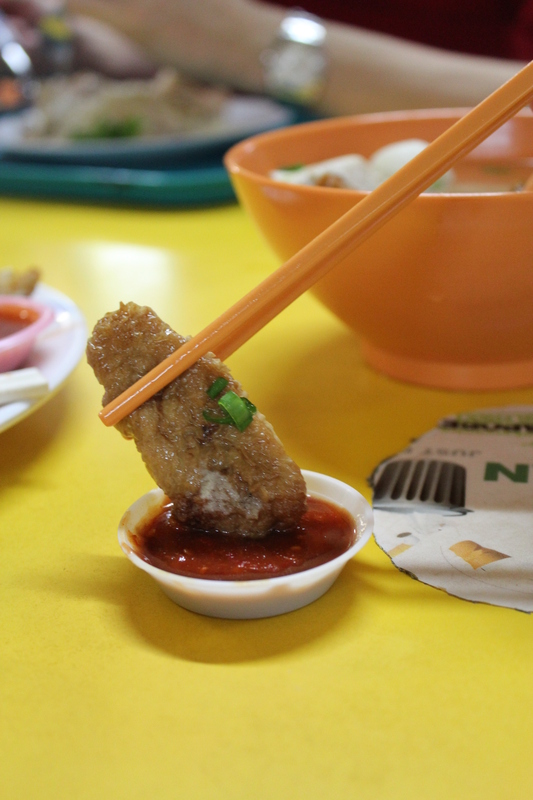 The beancurd was most definitely store bought, although the fish cake on top was handmade. 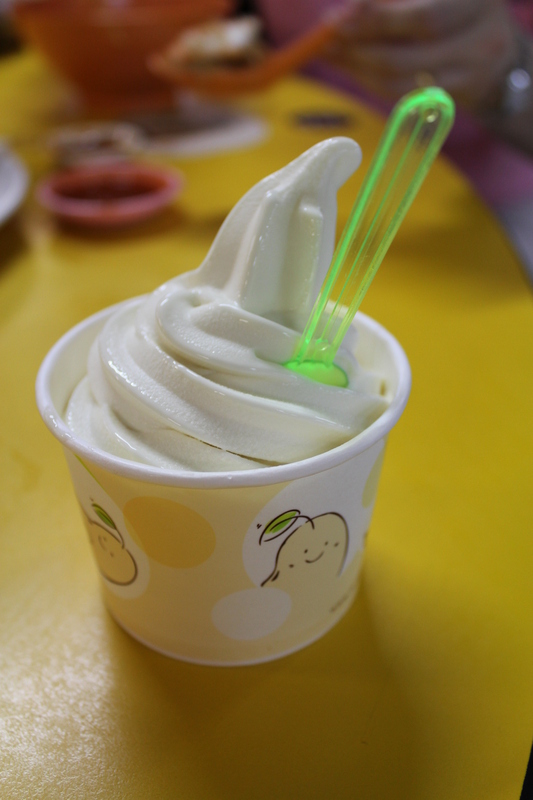 With the sweltering heat in people’s park hawker centre, nothing beats a cup of mr bean ice cream from mr bean, which is just a few stalls away from yong xiang xing yong tau foo. Eating yong tau foo is not really an enjoyable experience with such humidity and heat, seriously. I can’t imagine how the people beside me survived eating their laksa! Maybe i’m just spoilt because my grandma makes even better yong tau foo and my favourite yong tau foo stall in sg is still the ikan bilis yong tau foo in chinatown hawker centre. 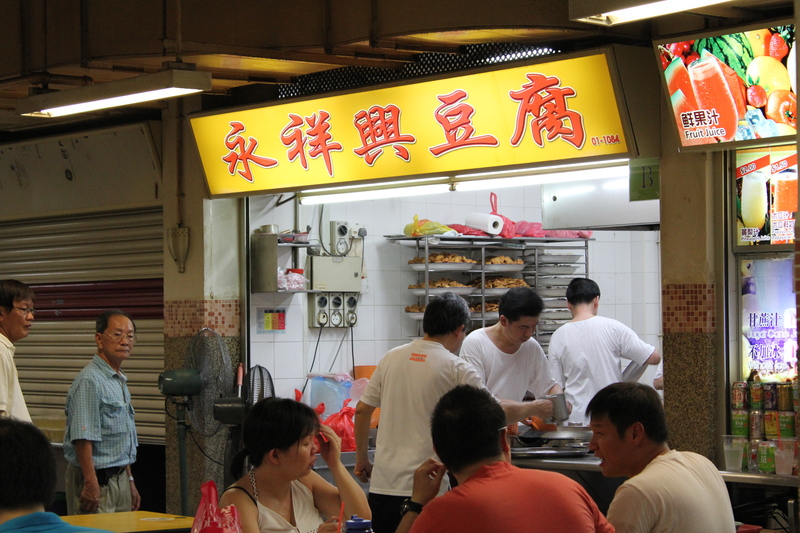 Nonetheless, if you want to try handmade yong tau foo and you are in the vicinity, do give it a try.